Since pioneering the world’s first portable pH meter 45 years ago, we’ve made it our mission to evolve and remain at the cutting-edge of water-quality instruments. Our distributors and our end-customers depend on the enduring quality of our products. We strive to make your job easier by delivering first-time quality and providing superior functionality and usability at a better value than the competition. By offering everything from Bluetooth-compatible testers to industrial inline water-quality analyzers, our products appeal to a diverse array of industries and users. We value our distributors as partners in success. That’s why we offer you the freedom to choose the way you work with us regardless of order quantities (we have no minimum order requirement) or frequency. You can choose to stock products or opt for just-in-time order fulfillment. By processing orders on an ongoing basis from our U.S.-based warehouse, we’re able to ensure seamless and efficient delivery to help support your business growth. 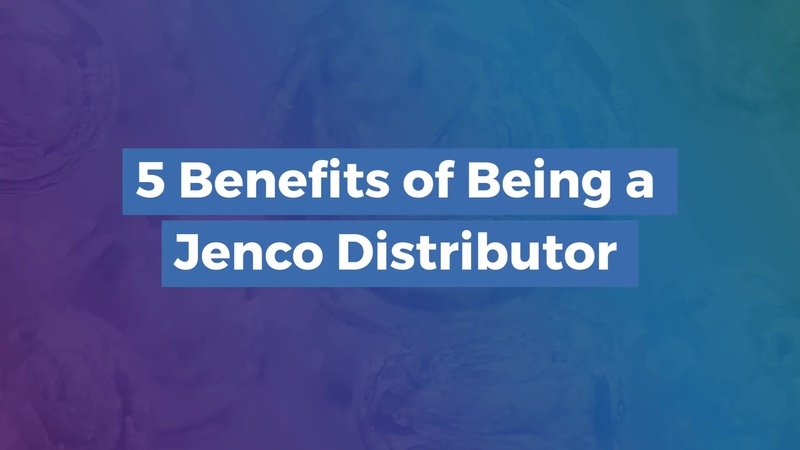 Why partner with Jenco as a distributor? Jenco has 45 years of experience creating water-quality instruments and a decades-long history of excellent relationships with our distributors. Jenco has a strong U.S. support staff that makes working with the company easy and painless. Jenco supports distributors by offering marketing and sales collaterals that can be tailored to your customers’ unique challenges. Jenco has no minimum order requirement. As a Jenco distributor, you will receive our standard 30% discount on retail pricing. Demo products can be purchased at a discount so that you have samples on hand. What industries do our distributors sell to? Once you sign up, you’ll immediately receive a confirmation email with instructions on how to order products. Within 24 hours, you’ll get access to our Distributor Kit, which includes pricing information and a PowerPoint presentation you can brand to present to customers. Over the next week, you’ll receive additional materials on how to order sample products, details on how to become a high-volume distributor, and contact information in case you have additional questions. "We have been a distributor of Jenco Instruments for many years. The staff is knowledgeable and proficient in assisting not only our company, but our customers in obtaining the proper instruments for their applications. Dealing with a company as professional and dependable as Jenco Instruments is, we plan to be distributors of their quality products and our company anticipates having a long term business relationship." "Jenco Inc is one of our favorite Vendors. We applaud them for their wonderful service, their quick response, and their eagerness to always help us when any situation comes up. [Jenco Customer Service has] always given us the best support and the most reliable information needed to help our customer get the instrument that best fit their application."